Avangard agroholding, the largest eggs producer in Ukraine, in January-March 2018 saw $11.404 million of net loss, which is 2.1 times more than a year ago ($5.342 million). According to a company report posted on the London Stock Exchange’s website, consolidated revenue grew by 21%, to $41.099 million and earnings before interest, taxes, depreciation and amortization (EBITDA) were negative being $9.058 compared with $0.1 million in 2017. 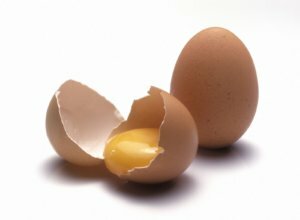 “Our gross profit was negatively affected by two main factors: an increase in domestic prices for key feed components (grain and oil crops), accounting for c.68% of the company’s cost of sales of shell eggs, along with weak prices for dry egg products in both Ukraine and globally,” the company said, citing Avangard CEO Nataliya Vasylyuk. She said that the growth of consolidated revenue in Q1 2018 is linked to large exports volumes of shell eggs and dry egg products. Gross loss in Q1 2018 more than doubled, to $3.6 million. Operating loss grew 3.5-fold, to $12.8 million. As at March 31, 2018, the total poultry flock amounted to 13.3 million heads, up by 40% compared to 9.5 million heads at December 31, 2017 (March 31, 2017: 14.0 million heads); whilst the number of laying hens remained flat at 9.3 million heads compared to year end (March 31, 2017: 10.6 million laying hens). In Q1 2018, the production volume of shell eggs rose by 39% year-over-year to 644 million units (Q1 2017: 462 million units) due to the replenishment of the laying flock during 2017, which resulted in the flock’s greater productivity. Sales grew six-fold, to 200 million units. In the reporting period, the share of export sales reached 41% (Q1 2017: 8%), with the Company exporting shell eggs to 15 countries in the Middle East and North Africa (MENA), Sub-Saharan Africa, Asia and the CIS region. In Q1 2018, the company increased the output of dry egg products by 68% year-over-year to 1,839 tonnes. 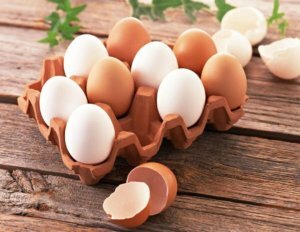 In Q1 2018, sales of dry egg products increased by39% year-over-year to 1,651 tonnes. The export of dry egg products rose by 27% year-over-year to 1,413 tonnes. 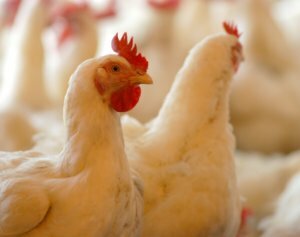 PJSC Avangard, uniting the poultry farms of the eponymous agricultural holding, the largest egg producer in Ukraine, in 2017 posted a net unconsolidated loss of UAH 183.14 million, which is almost 54.6% less than in 2016 (UAH 403.43 million). According to a report on holding a shareholders’ meeting on April 28, 2018, its uncovered loss in 2017 amounted to UAH 11.84 million, while a year earlier undistributed profit was fixed at UAH 71.3 million. Its assets in 2017 increased by 9.8%, to UAH 43.43 billion. Total debtor indebtedness rose by 21.8%, to UAH 24.34 billion, current liabilities decreased by 5.5%, to UAH 36.2 billion. The holding owns 19 poultry farms, ten farms breeding laying hens, three incubators, six feed mills, three elevators, the factory for egg production Imperovo Foods. The company exports its products to the markets of the Middle East, Africa, Asia, the CIS and the EU.